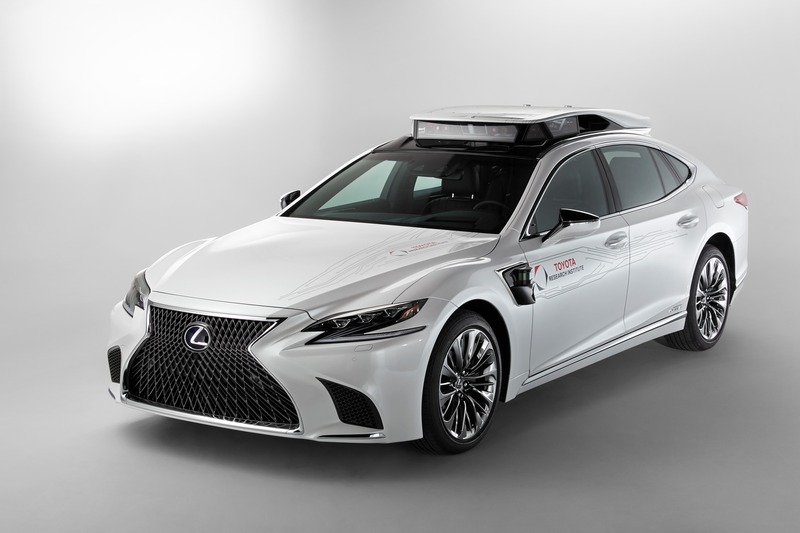 Toyota announced that it will be unveiling a new automated driving test vehicle at CES in Las Vegas, Nevada on January 7th, and CleanTechnica was invited to see it first-hand at the reveal. The new vehicle, dubbed the P4, is based on the new kid on the block 5th generation Lexus LX 500h, which has been loaded up with the Toyota Guardian and Chauffeur systems which it will continue vetting in its automated test fleet in spring of 2019. The Lexus LS was heavily modified from stock to create the P4, with two additional cameras that keep watch over the sides of the vehicles to augment the factory system and two new imaging sensors that provide high dynamic range data from the front and rear of the vehicle. The factory radar system was also beefed up to improve the close range field of view around the vehicle from the array. Finally, the LIDAR array which was refined on Toyota’s previous autonomous test vehicles was carried over to the P4 and boasts 8 scanning heads for a more complete picture of the vehicle’s surroundings. Under the hood, the P4 has been augmented with extra computing power that allow it to run more of the machine learning algorithms that it uses to crunch through the incoming sensor data in parallel. This translates to a faster reaction time to incoming sensor data. The computers have also been rewired to pull their power from the LS 500h’s much larger hybrid battery, as opposed to the small 12v battery, to allow for higher power draws while reducing strain on the onboard 12v system. TRI has packed the brains of the vehicle into a vertical bank at the rear of the trunk in a configuration that allows everything to be quickly folded down when the guts of the computer need to be accessed. This configuration hints at a more streamlined, production ready build that will be required for a customer-facing vehicle. In parallel to the P4 entering Toyota’s automated test fleet, Toyota will begin producing a handful of prototypes at its TMNA R&D Prototype Development Center in York Township in Michigan in the spring. Stay tuned at CleanTechnica on January 7th as we bring you the latest from CES, where the P4 will make its official debut. CEO of the Toyota Research Institute Dr. Gill Pratt will also be sharing updates on the progress his team has made with the Guardian automated driving system.